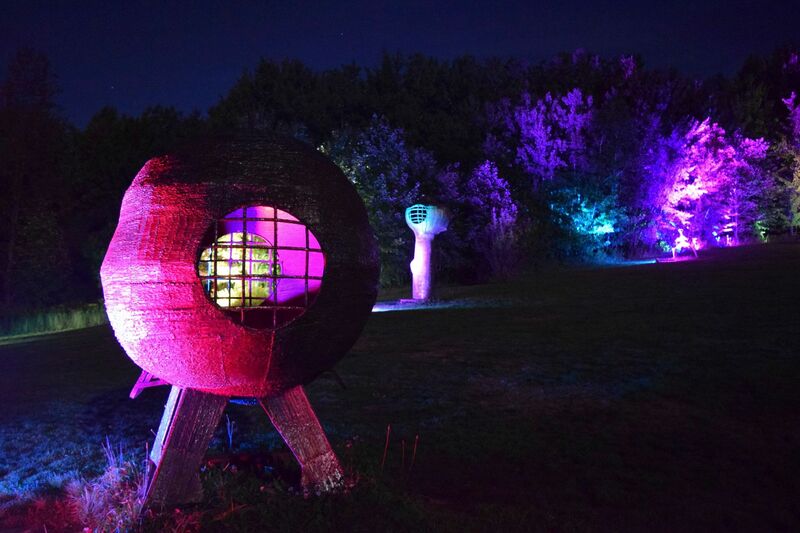 In 2009, SitlerHQ created a unique eco-tourism attraction called NIGHT LIGHTS. During a NIGHT LIGHTS experience, guest walk through landscapes transformed with colorful and theatrical LED lighting. There have several incarnations of NIGHT LIGHTS throughout the past eight years. Presently, NIGHT LIGHTS has raised over $160,000 for local non-profits. NIGHT LIGHTS at The Heron (Sherman, NY) 2009 to 2015. We illuminated one-mile of trail through the forest of the storied Heron property. Guests eventually came upon a cafe and stage area, that featured performances from bands, magicians, drummers and even a psychic. The NIGHT LIGHTS Music Festival and NIGHTS of Fire festival were spawned from NIGHT LIGHTS. NIGHT LIGHTS at The Gardens (Buffalo & Erie County Botanical Gardens) 2011-2014. 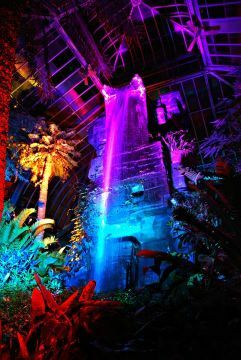 The NIGHT LIGHTS crew made the botanical gardens the hottest spot during the Buffalo winter months. 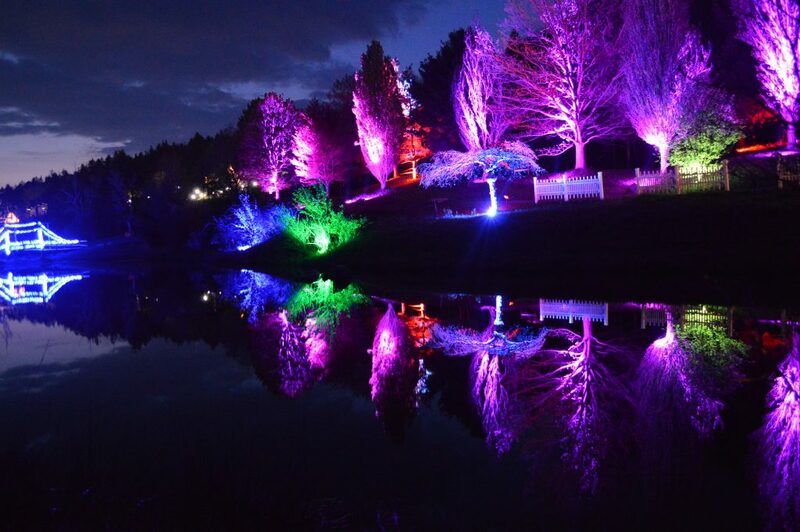 Over 25,000 people attended the magical illumination of the garden’s plant life. Several local musicians and performers were on hand to entertain the large audiences. 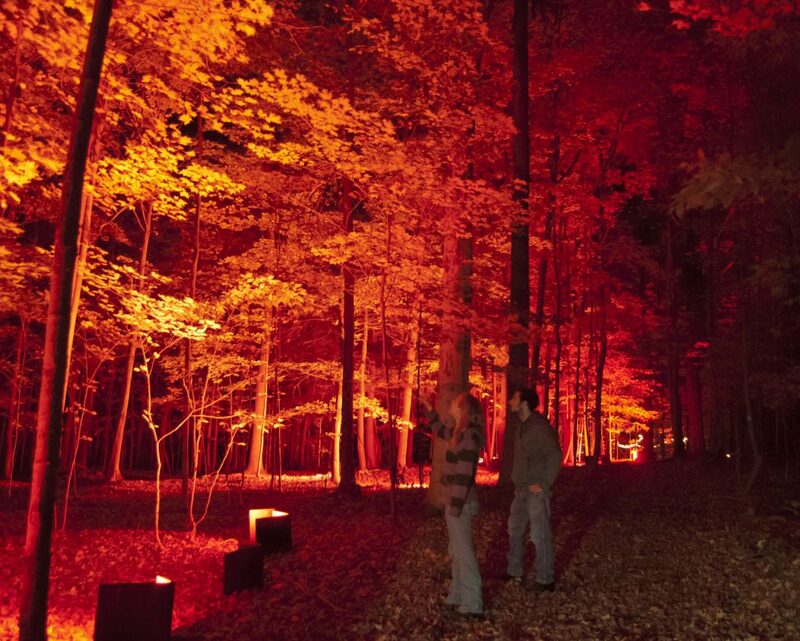 NIGHT LIGHTS at Nannen Arboretum (Ellicottville, NY) 2014. The beautiful setting of Ellicottville’s Nannen Arboretum was a great location for a springtime show. The park’s stage featured some top notch WNY performers. The show also featured local artists showcasing their works. NIGHT LIGHTS at Nannen Arboretum (Ellicottville, NY).